Tao Te Ching translated and explained. Heaven and Earth are not kind. They regard all things as offerings. The sage is not kind. He regards people as offerings. I am a writer, historian of ideas, and aikido instructor. This is my Taoist blog, where I post my work on the Tao Te Ching, which has also been published as a book. Each post is my version and comments on one of the 81 chapters of the Chinese Taoist classic Tao Te Ching (Dao De Jing), by Lao Tzu (Lao Zi). Please comment both my versions of the original text and my explanations. TAO TE CHING. The Taoism of Lao Tzu Explained. My translation and comments. Click the image for more about the book. 2: Don’t Split the Unity! 388 sayings from the Tao Te Ching sorted by topics. 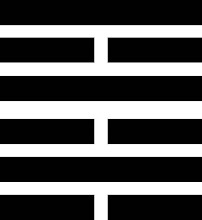 Ancient Chinese divination by hexagrams. Try it for free.